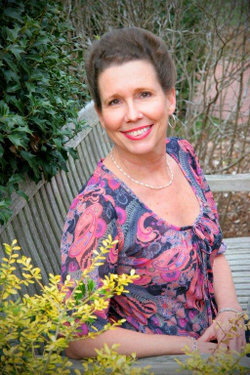 Karen Holcomb has gained experience, devotion & motivation from the many clients she has served during her lengthy association w/ Custom Wood Products of Rural Hall, Inc. (parent company of Designing Kitchens and Baths). She has been honored with the first ever Distinguished Associate Member Award by Home Builders Association of Winston-Salem. Karen strives to deliver integrity, value, quality, & stewardship through out the process of each project. She uses her enthusiasm & passion for each project as a tool to assist her clients, they realize they are in capable and caring hands and the entire experience is comfortable for all involved parties. Karen has played leadership roles in our local Home Builders Association as a member of the Board of Directors and as President of the Professional Women in Builders Council. Check out my interview, Everything You Need to Know About Custom Cabinets, on North Carolina Homes, one of the top sites for North Carolina real estate, including Chapel Hill, NC real estate. North Carolina Homes also services Georgia homes for sale and South Carolina real estate. Jessica Quison-Kress or as many refer to her as JQK, comes to us with a diverse background and 18+ years of design experience. 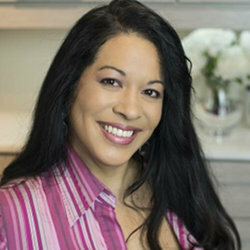 She’s a member of the National Kitchen and Bath Association and earned her Associate Kitchen and Bath Designer (AKBD) certification in 2009 while living in Minneapolis, Minnesota. Her work has been featured in Mpls/St.Paul Magazine, 919 Magazine in Raleigh, Parade of Homes, Remodeler’s Home Tour and numerous blog articles and design websites. Born and raised in Hawaii, she traded the perfect tropical weather for the historical south, scenic mountain towns and sandy outer banks. Ironically, this reminds her of home and appreciating the beautiful culture and hospitality of North Carolina. Design and specifically cabinetry has always been her passion. She loves to transform spaces from dreams to reality for families to enjoy. Jessica continually strives towards a successful project through a collaborative and win-win effort. She believes communication is key. Many of her clients give her rave reviews and admire her attention to detail and overall professionalism.